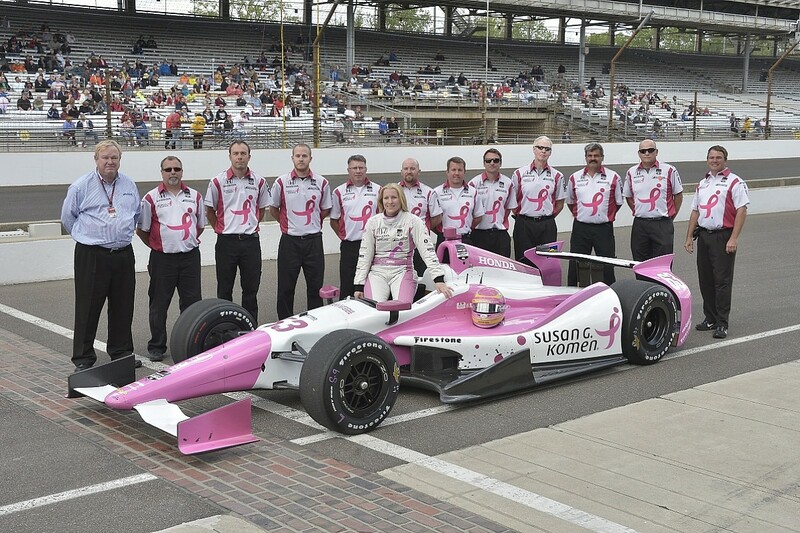 Pippa Mann is preparing to make her annual appearance at the Indianapolis 500, the only IndyCar race she will enter this season. As a one-off entry specialist, Mann has to organise an entirely different approach to going racing. If the Month of May sounds like an extensive build-up to the Indianapolis 500, consider Pippa Mann's route to competing in her only open-wheel race of the season - an event she builds her career around and dedicates the whole year to making. Even then, the US-domiciled Brit will sit in her Dale Coyne Racing car - for her sixth Indy 500 in a row, seventh in total - for the first time only four days before qualifying, where at least 35 cars will be competing for 33 places in the field. In most circumstances, that's scant preparation - let alone for an event that takes place, usually, in hot conditions, for 200 laps, at speeds that exceeded 230mph last year and this time features a new, radically different car. Never has a cushy full-time ride and the relative security it offers looked so appealing, but despite spending much of the year outside the IndyCar bubble looking in - securing new sponsors, keeping existing backers happy and fulfilling all the commitments that entails - it's a challenge Mann relishes. "It's my year-round job," she explains. "Like many racing drivers, I work as a performance driving coach for various programmes including Porsche Driving Schools, the AMG Driving Academy and the Lucas Oil School of Racing. "But in between that, which brings in my income to race, I effectively spend the calendar year looking after the sponsors who support my car throughout the calendar year, meeting new partners, introducing my story and what we're doing with this car at Indianapolis to more people. It's a year-round continuous process." That way of working also extends to her team. Although Mann will benefit from the familiarity of working with chief engineer Rob Ridgely for a third consecutive year, her pitcrew has not worked as a unit since Mann took the chequered flag in 17th position last May. As one of nine one-off entrants in the field for the IndyCar series' centrepiece event, Mann certainly isn't alone in this regard, but in a series where performance can be defined by how well a traditional 10-person-per-car team works on the ideal set-up, it is a significant drawback. Rather than be deterred by that rustiness, Mann sees it as a means of setting realistic goals. "It's unique when you're trying to be a one-off driver," she says. "People often ask, 'how do you practise?' And the truthful answer is there is no really good way. Every time I get back in that car for the first time, day one is always about readjustment, getting comfortable and getting back up to speed, and day two is normally the day we start working on things. "The big thing people need to remember is that this isn't just me. My engineer 'Ridge' hasn't engineered an IndyCar since last May, my over-the-wall team haven't been over the wall and changed a tyre since last May. We have this entire band of people, like a lot of one-offs, coming together to try to make something cool happen." Mann does not even have the budget for simulator training, let alone testing, although she will benefit from the data provided by team-mates Sebastien Bourdais, Pietro Fittipaldi and Conor Daly to aid her set-up course. But if that lack of running suggests plenty of free time, that's far from the case for Mann, who doesn't have a management team and engages with all of her corporate partners personally. She doesn't need reminding that it's very different from how the other half lives. "When you are as lucky as I am to have so many people willing to support your programme, you have a lot of people to look after," she says. "I have to balance my timein May carefully between being the driver and the person who looks after all the sponsors, making sure everyone has all the access they need, not just the PR person looking after social media, but coordinating the sponsors. "In May, I wake up before 7am every single day and don't go to bed before 10 or 11pm each night; that's how long it takes to fulfil the commitments alongside being a racing driver. "For the people who back my programme and are Indianapolis-based like I am, I make commitments to them throughout the year. Between leaving town to do jobs, I'll be back for three or four days to wash kit and head out again. I'll do several appearances with sponsors, go to the gym like other drivers and then leave again. "It's a very different life to the full-time drivers, but it's a life I enjoy and allows me to drive a car once a year at a very cool event." So while Mann will watch on as similar one-off entries such as Danica Patrick (Ed Carpenter Racing) and Carlos Munoz (Andretti Autosport) rack up the miles in advance, she is comfortable with her circumstances and is not letting them detract from her hopes of achieving a top-10 finish at the world-famous speedway. "The biggest thing coming into the Indy 500 every year is to have a realistic expectation," she says. "I feel the way we band together means we can have a go at the top 15 and ideally the top 10, so that's the goal. If we do our job right and have some luck, it could come our way." 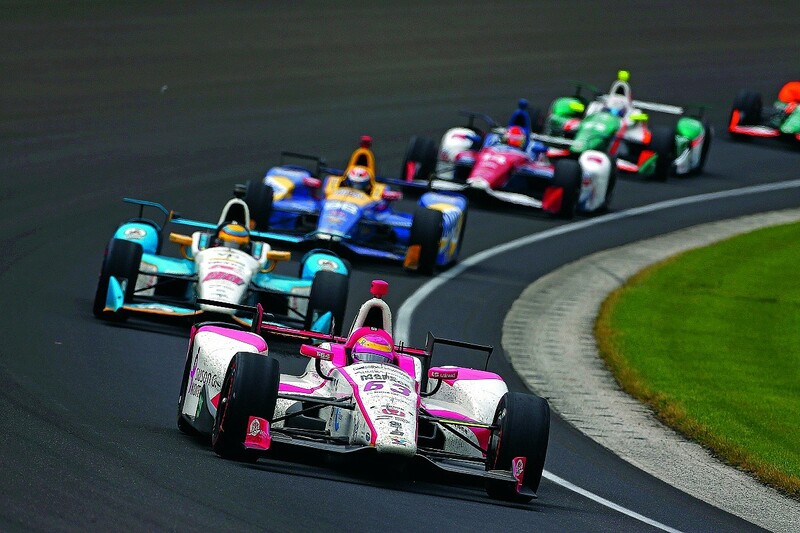 There are many factors to consider in ensuring a strong performance at the Indy 500, with balancing speed and caution - trying not to wreck a car - at the forefront of any driver's mind. Considering the danger that has put off other Formula 1 stars from following in Fernando Alonso's footsteps, properly functioning equipment is an essential box to tick. That's why Mann will use Walero's industry-leading underwear at this year's race. Based on NASA technology, a tailored fit balances comfort with freshness and temperature regulation through such advances as Outlast® fabric and Envirotech+, an anti-microbial agent. Mann found Walero through social media and was convinced of its advantages, even if the Indy 500 and single-seater racing wasn't Walero's target audience. "I saw an article about what they were doing and I read about this brand with a British female entrepreneur [Walero founder Fiona James]," she says. 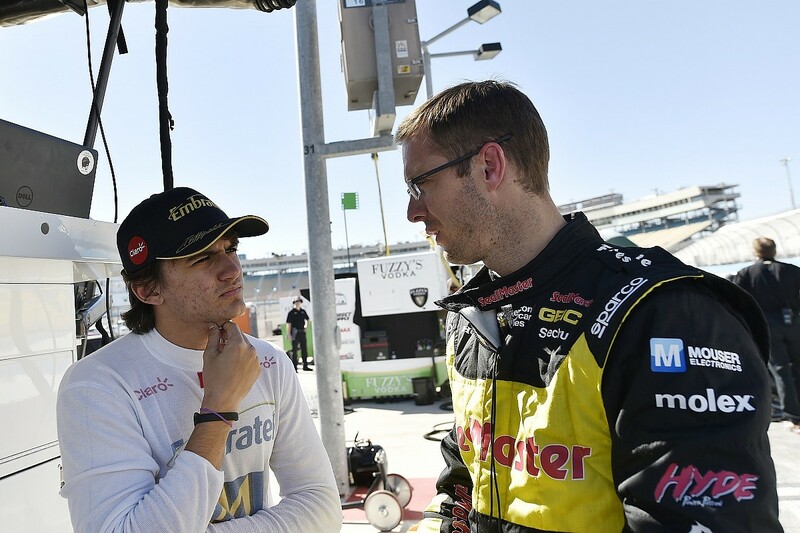 "We connected last year at Petit Le Mans; we were talking about this, so to have them on board and on-brand at Indy is very cool. "With this race being the hottest event of the year, the humidity, the length of the race and the amount we sweat in that time means having Walero in my corner will be a real advantage."